Following scientists Herb Boyer and Stanley Cohen’s creation of the first genetically engineered bacteria 45 years ago, the technique of gene editing has rapidly evolved, now reaching a point where human genes can apparently be edited to target specific medical needs. In fact, Chinese scientist He Jiankui announced on Nov. 26 that with the parents’ permission, he had successfully modified the genes of twin babies utilizing Clustered Regularly-Interspaced Short Palindromic Repeats associated 9, also known as CRISPR-Cas9, in order to protect them from HIV, which both of their parents have. 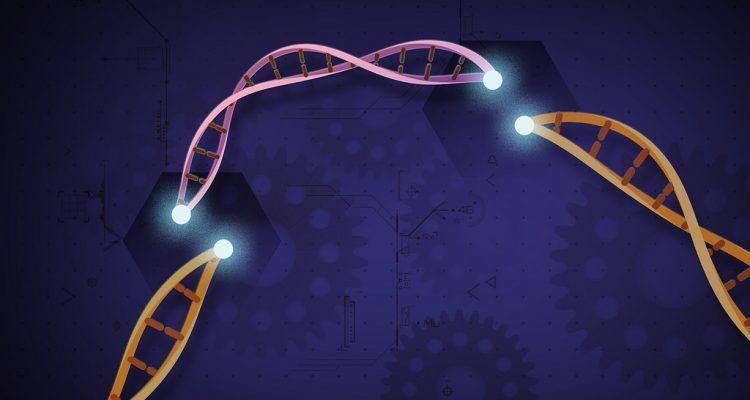 Found within the genomes of prokaryotic organisms such as bacteria and archaea, CRISPR is a family of DNA sequences that organisms use to detect and destroy DNA viruses that have previously infected it. Through extensive research, biologists developed a similar technique that can be used to edit genes within organisms, including humans. This new technology has a variety of potential applications. It can serve as a biological research tool, create more efficient crops for food production and most importantly, treat diseases. In this case, Jiankui said he removed a piece of DNA sequence from the twins’ DNA, which he claims will protect them from future HIV infection. Despite the fact that CRISPR-Cas9 offers a possibility to protect humans from disease, many see an ethical dilemma in editing human genes. Paly English teacher Joshua-Knowles-Hinrichs, who teaches the Aldous Huxley novel “A Brave New World”–which is about cloning and raising embryos outside the womb–said this application of CRISPR-Cal9 might result in unpredictable consequences, just like in the novel. Hinrichs also expressed concern about the ability of parents to choose preferable traits in their children, decreasing diversity. Paly Humanities teacher David Cohen said, though, humans have been violating nature for a long time with a variety of technologies. This issue also shows itself in Huxley’s dystopian novel. And despite the fact that Jiankui said the twins’ parents agreed to his gene manipulation, Cohen said a parent’s’ permission is not enough for gene editing in the ethical sense. Maggie Yan, who took AP Biology last year and plans to major in science, said while the gene editing experiment might be successful in the sense that the babies Jiankui worked on are possible immune to HIV, this controversial edit on their genes might lead to future problems such as discrimination. Beside ethical responsibilities, Biology and Environmental Science teacher Nicole Loomis said while this technology might have the potential to help individuals, it could easily lead to a less equitable world.